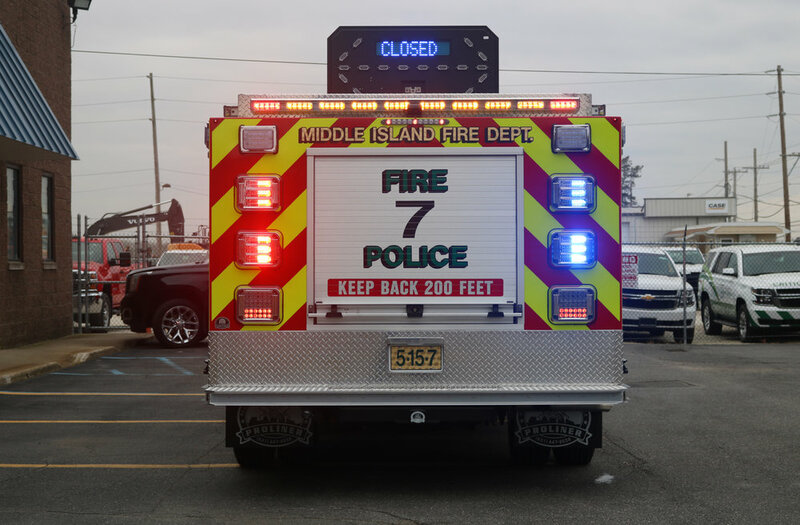 Congratulations to Middle Island Fire Department on their brand new fire police truck! This vehicle has tons of features. Firstly, a transverse sliding tool board. This allows all tools stored on the board to be accessed from either side of the vehicle. other features include: a flashlight charging bay, loads of emergency lighting, an ignition override, sirens, a custom built console, radios, a folding message board and traffic advisor, and custom built poly containers.